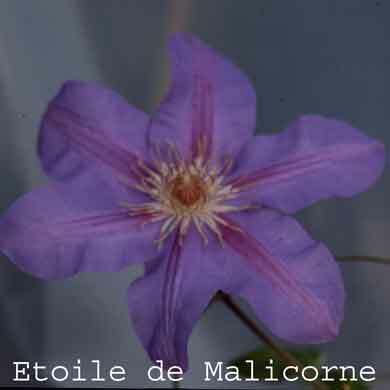 This French variety has 6-7" (15-18cm)flowers that are purple-blue with narrow red bar and dark red stamens. Blooming time is June to September. Mature height 10' (3m). Pruning group B1.